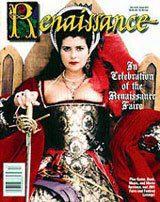 King Richard’s Faire, New England’s largest and longest-running Renaissance Faire, will hold cast and crew auditions for the 2015 season in Boston on Saturday, April 25th at BCA’s Artist’s Building, Studio 204, 551 Tremont Street, Boston and Sunday, April 26th at Boston University, College of Communications, 640 Commonwealth Avenue, Room COM 101, Boston. The Faire is the perfect opportunity for performers, entertainers, and technicians who are looking for a fun, interactive job and are available to work Fridays, Saturdays and Monday holidays from Sept 5-Oct 25. We would be extremely grateful if you could help us spread the word (see flyer to post, attached). Thank you for your time, and we appreciate any help you can provide to get the word out about the auditions for King Richard’s Faire. If you would like a few complimentary tickets for an upcoming fundraiser or for yourself, please let me know. If you would like to attend the auditions or would like any additional information please email info@kingrichardsfaire.net. King Richard’s Faire, New England’s largest and longest-running Renaissance Faire, will hold cast and crew auditions for the 2015 season in Boston on Saturday, April 25th at BCA’s Artist’s Building, Studio 204, 551 Tremont Street, Boston and Sunday, April 26th at Boston University, College of Communications, 640 Commonwealth Avenue, Room COM 101, Boston. Actors and singers must prepare one monologue and two contrasting songs, one uptempo and one ballad, to be performed a cappella. None of the pieces need to be Renaissance themed. Musicians and specialty acts must be prepared to demonstrate any special skills, such as musical instruments, dance, magic, juggling, etc. Please bring a current photo and resume, if available.